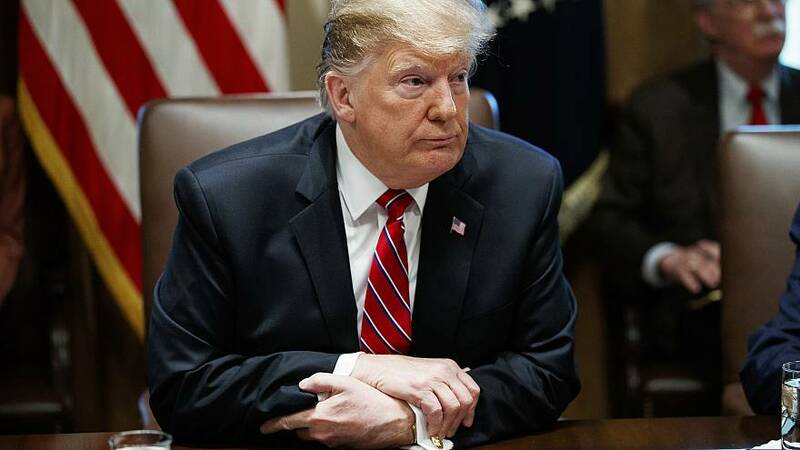 President Donald Trump is likely to sign a bipartisan agreement to keep the government open and avoid another partial shutdown, three sources familiar with the president's thinking tell NBC News. The sources note that nothing is set in stone. The deal, the details of which first emerged on Monday, does not include his sought after $5.7 billion in border wall funding, which caused Trump to shutter the government for a 35-day stretch ending last month. After lawmakers refused his demands at the time, Trump relented and re-opened the government, agreeing to a temporary funding deal that was set to expire Friday. Instead, the agreement provides nearly $1.4 billion for 55 miles of new border fencing, which could include steel slats and other "existing technologies," and an additional $1.7 billion for other Homeland Security priorities like new technology and more customs personnel, multiple sources told NBC News. Additionally, Democrats dropped a demand to cap the number of beds for undocumented immigrants detained by Immigration and Customs Enforcement. Trump, at his Tuesday Cabinet meeting, said he was "extremely unhappy" with the deal, vowing to build a border wall anyway. "I am extremely unhappy with what the Democrats have given us," Trump told reporters at the White House. "It's sad. They're doing the country no favors. They're hurting our country very badly. But we certainly don't want to see a shutdown." Republicans on Tuesday made clear they hoped Trump would sign the deal. Senate Majority Leader Mitch McConnell, R-Ky., told reporters Tuesday afternoon that he thinks the compromise is "a good step in the right direction" and that the measure would get support from Republican lawmakers. "From a Republican point of view, there is money in there for new barrier fencing, and there is no cap on interior enforcement," McConnell said. "It's not everything the president hoped to get, but I think it's a good step in the right direction." On Tuesday evening, Trump tweeted that he had been presented with the deal and doubled down on his promise to build the wall anyway, praising Republicans for putting up with the "Radical Left" during border negotiations. "Looking over all aspects knowing that this will be hooked up with lots of money from other sources....," the president tweeted. "Will be getting almost $23 BILLION for Border Security. Regardless of Wall money, it is being built as we speak!"